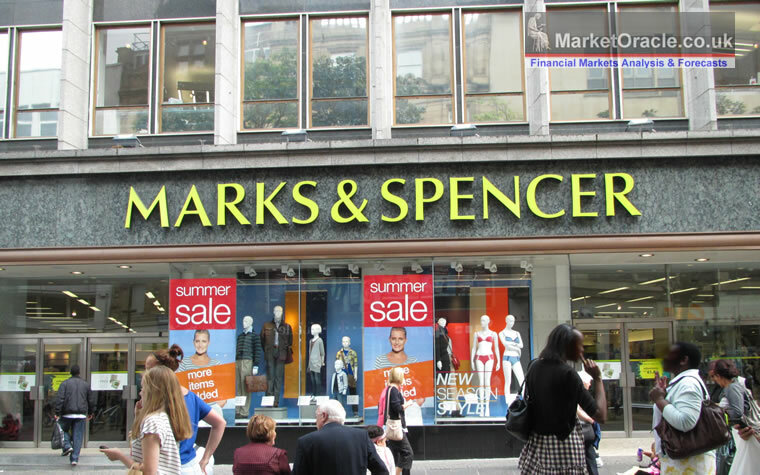 Marks & Spencers, Britain's 6th largest retailer saw its profits collapse by 64% in the year to April 1st. 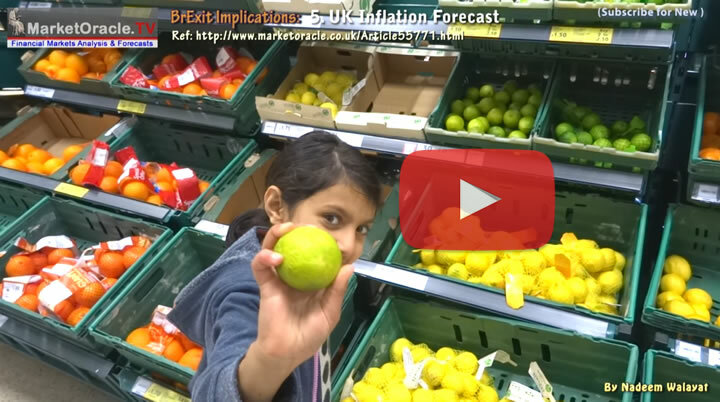 With the mainstream press reliant on M&S advertising revenues eager to swallow M&S smoke screen of reasons to explain away the collapse in profits as being due to a series of one off events such as restructuring costs and property impairments when instead the reality is that the whole retail sector is set to experience a perfect storm during 2017 of falling customers disposable earnings and the Brexit inflation tsunami. 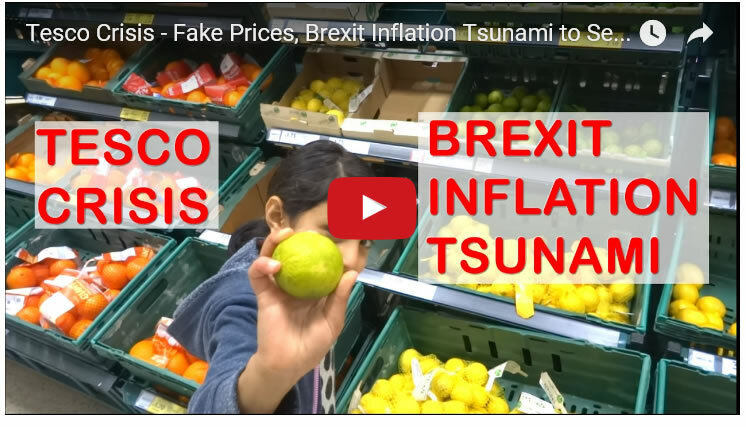 Whilst sales were flat at £10.6bn, pre-tax profits plunged to just £176.4m, which is going to make it even harder for M&S to service its £2 billion debt mountain. 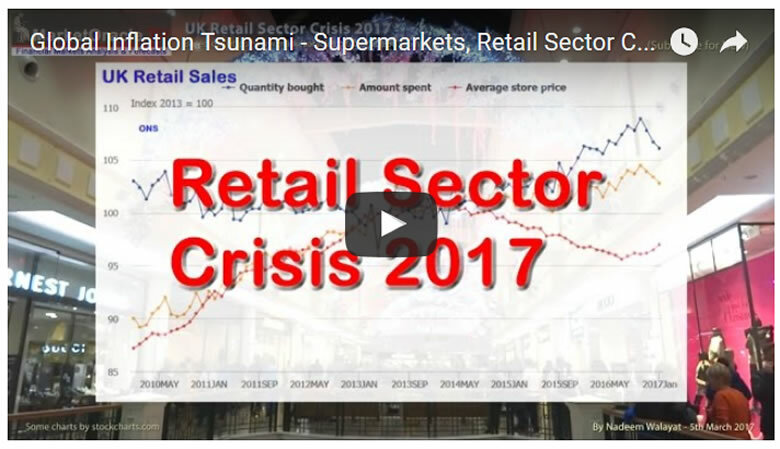 However, ironically M&S is the more robust of the major retailers, likely to survive the coming perfect storm as my extensive analysis of earlier this year warned that the retail sector could even witness a Woothworths moment seeing a major retailer go under! 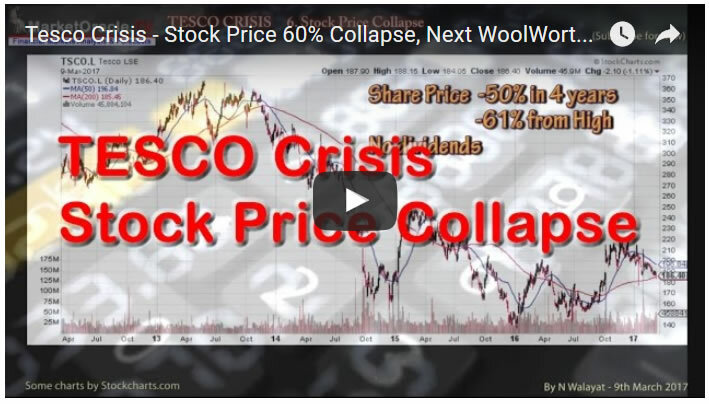 Whilst my primary focus has been on Britians' biggest retailer Tesco that seems to lurch from one crisis to the next as its stock price gravitates towards ZERO. 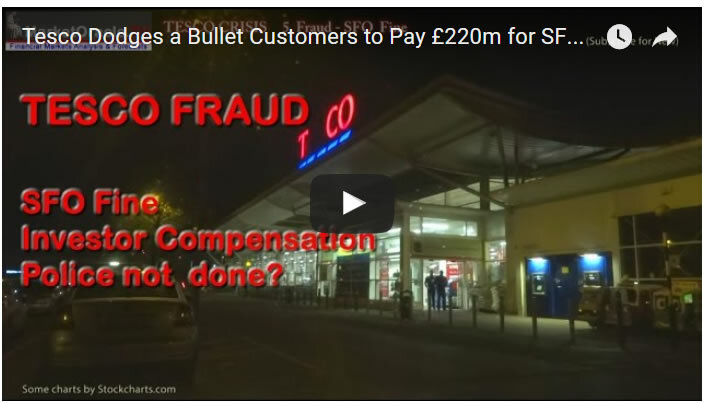 And were Tesco managed to dodge a bullet and avoid a criminal prosecution by agreeing to pay a fine of £129m as part of a Deferred Prosecution Agreement with the Serious Fraud Office for its 2014 false accounting scandal as well as to compensate investors by an estimated £90m (including interest) for those who bought Tesco shares on the basis of false accounting in 2014.